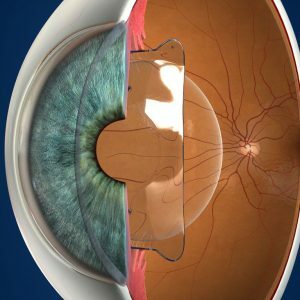 Phakic IOL (intraocular lens), also known as Visian Implantable Collamer Lens or ICL is a rising alternative to LASIK eye surgery and PRK for correcting moderate to severe myopia and can in some cases actually produce superior vision when compared to laser refractive surgery options such as Lasik and Lasek. 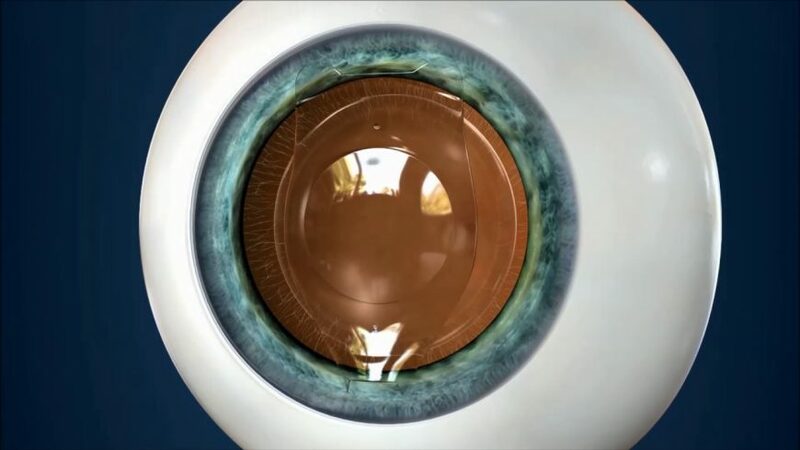 Phakic IOLs are a set of crystal clear implantable lenses similar to contact lenses. The clear synthetic lenses are carefully inserted between the cornea and the iris of the eye without removing the eyes natural lens. The synthetic lenses work similarly to contact lenses, properly focusing incoming light on the retina creating sharp clear vision without the assistance of corrective eyewear. As stated, Implantable IOL lenses function just like contact lenses to correct nearsightedness except they are permanently inserted in the eye, easing the burden of contacts. As opposed to wearing contact lenses daily, IOLs refract light from within the eye instead of doing so on the surface of the eye. The best candidates for IOL’s are those with high degrees of myopia making them ineligible for LASIK eye surgery. Unlike traditional contact lenses, a Phakic intraocular lens cannot be felt (just as you don’t feel a dental filling in your mouth). In addition, Phakic IOLs typically do not require any maintenance as do traditional contact lenses making them a great option for those looking to free themselves of optometry visits and expenses. Recovery Period: 3 days to 2 weeks depending on Post-Op care. There are currently two different phakic IOLs that are FDA-approved for use in the United States. Your Michigan Lasik Eye Surgery Specialist will usually recommend the most appropriate implantable lens for you and your situation although the Visian ICL is the most commonly used form of IOL. Visian ICL. The Visian ICL (Implantable Collamer Lens) is marketed and distributed by Staar Surgical. The Visian ICL is the preferred IOL by most ophthalmologists and is a “posterior chamber phakic IOL”. Poster Chamber IOL’s are inserted between the iris and the eyes natural lens. The Visian Implantable Collamer Lens was approved by the FDA in June of 2005. The Visian ICL’s collamer lens is built with soft, bio-compatible collagen copolymer giving in flexibility to be folded up for easy implantation, requiring a very minimal surgical incision. Because the Visian ICL is placed behind the iris (the colored portion of the eye), the synthetic lens is completely invisible to the naked eye and must be viewed through a microscope. “I want to provide my patients with the best vision possible and I believe the Visian ICL is by far the most cutting edge solution available. It provides the patient with a much more natural and satisfying experience” – Dr. Yaldo, Michigan Lasik Eye Surgery Specialist. Verisyse. As opposed to the posterior chamber nature of the Visian ICL, the Verisyse IOL by Abbott Medical Optics is an anterior chamber phakic IOL. The Verisyse IOL is inserted in front of the iris (The colored portion of the eye). In 2004 (before the Visian ICL), the FDA approved Verisyse phakic IOL’s for correcting refractive error in the range of -5.00 to -20.00 Diopters (D). The Verisyse lens is made of medical-grade plastic (polymethylmethacrylate, or PMMA) as opposed to the soft, bio-compatible collagen copolymer of the Visian ICL making it more rigid in form. For those who undergo Verisyse IOL implants, the lens isn’t typically very noticeable in the eye, though it may be seen if you look closely in the mirror. LASIK is the most popular form of refractive surgery as no doubt the gold standard in the United States. Lasik has proven to be safe and effective time and time again, and technological advances such as CATz custom Lasik and “all laser” bladeless Lasik have made the results of this 30-year-old procedure better year after year. But, just as with any surgical procedure, Lasik may not be the ideal procedure for everyone and some may not even meet the requirement for Lasik eye surgery. Some reasons why Lasik may not be a good option for you is if you have too high a degree of nearsightedness, farsightedness or astigmatism, unusually thin cornea, irregularly shaped or rough cornea surface, and if you have a chronic eye condition such as keratoconus or dry eye syndrome. IOL’s may be superior to Lasik for those with moderate to severe nearsightedness. For patients outside the recommend treatment range of LASIK, Phakic IOL’s can produce excellent results, often better than Lasik. A recent study comparing the results of LASIK and Phakic IOL’s for correcting -6.00 to -20.00 D of myopia showed that the two corrective3 eye procedures produced nearly equal odds of patients attaining 20/20 vision one year after the procedure. Another thing discovered by the study was that patients who had phakic IOL implantation often experienced superior color contrast sensitivity and were more satisfied with their results than those who underwent Michigan Lasik. Also noted by the study is the fact that neither procedures resulted in any serious complications permanently affecting patients vision. 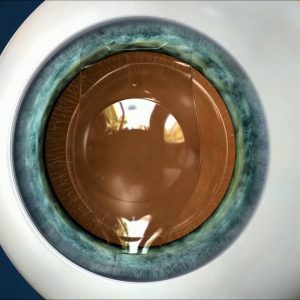 “Our findings suggest phakic IOLs are safer than excimer laser surgery [Lasik] for correcting moderate to high levels of short-sightedness,” said lead author Allon Barsam, MD, of the Moorfields Eye Hospital NHS Foundation in London.